Cannellini beans – a variety popular in central and southern Italy, but was first developed in Argentina. They are larger than navy beans and related to the kidney bean. Navy beans – native to the Americas, is a small, dry white bean which is smaller than many other types of white beans. It has an oval, slightly flattened shape. Great northern beans – also called ‘large white’ beans are also larger than navy beans but smaller than cannellini beans, with a flattened shape similar to lima beans. 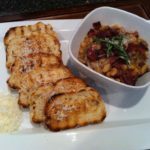 My Tuscan White Bean Dip was inspired by this Bacon Rosemary Cannellini Beans recipe and has basically the same ingredients. Just a totally different texture. Which matters a whole lot to some people. Personally it just depends on my mood. 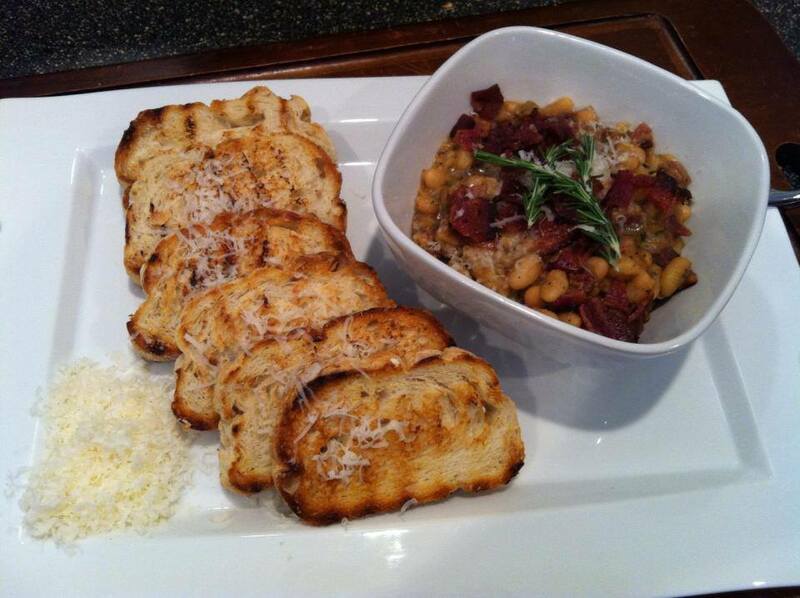 Either way these beans cook down slight into a rich, creamy texture that is tough to resist! You can spread these beans on toasted garlic bread, scoop them up with pita chips, or simply eat them out of the bowl. A little pat of butter wouldn’t be horrible either! 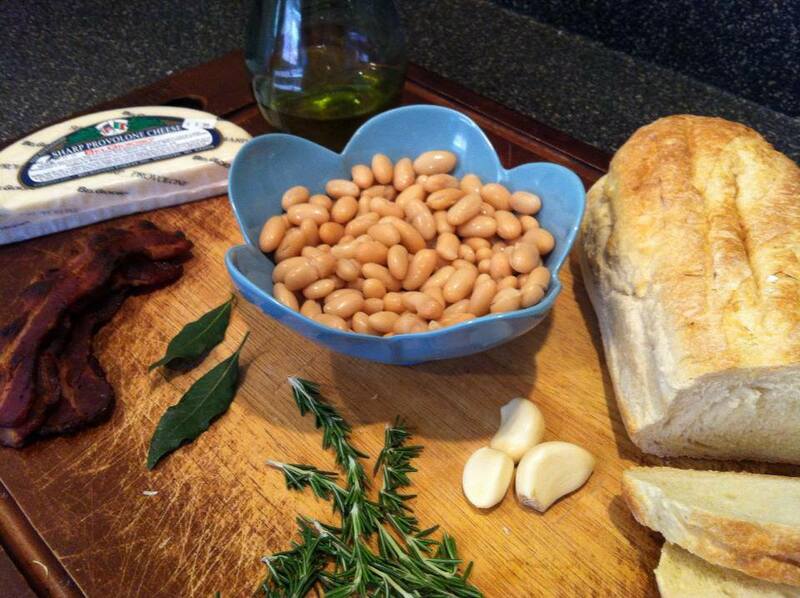 I hope you like my Bacon Rosemary Cannellini Beans recipe as much as my crew does. If you love this recipes, you can find more like it by checking out my Appetizer section! For recipe inspiration delivered to your inbox, subscribe to my newsletter, follow my photography journey on Instagram, and for generally inappropriate humor follow like me on Facebook! 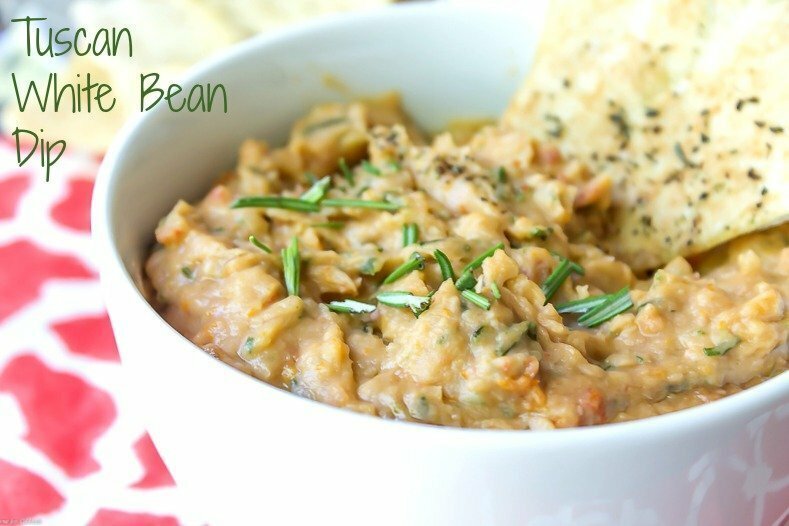 A flavorful white bean spread perfect for topping lightly toasted bread. Heat a medium skillet over medium heat, cook bacon until crisp. Drain on a paper towel, crumble, and set aside. Drain all but 1 tablespoon bacon fat from skillet. Add garlic, cook for 1 minute. Stir in beans, rosemary, bay leaf, and chicken stock. Reduce heat, simmer on low heat 5-7 minutes until slightly thicken. Remove bay leaf, discard. Salt and pepper to taste. Mix in bacon, garnish with cheese. Tip- Lightly mash half of bean mixture with a fork for extra thickness.